Maximum volume grooves increase spin for full shots while Laser Etched Micro Lines increase surface roughness and control on more delicate approaches. 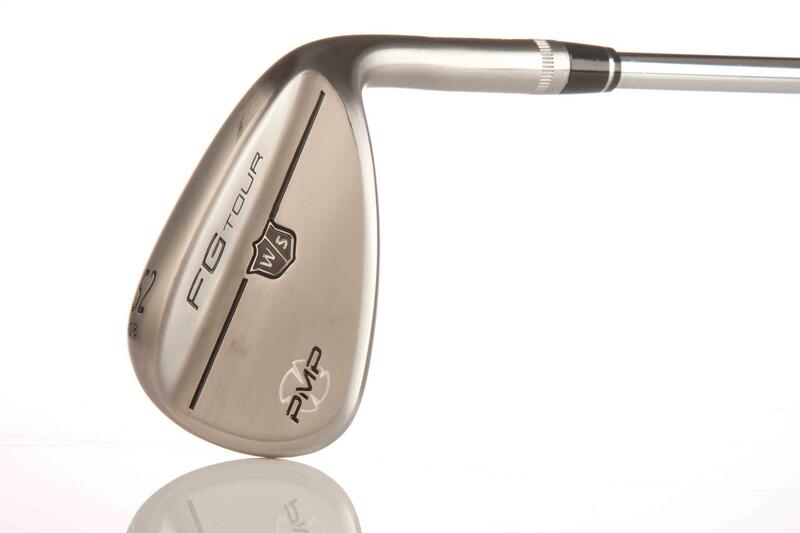 The milled club face is perfectly flat, three sole options (Traditional, Tour and Wide) give 95 different options. Cast your eye over our list of test wedges and not many golfers would pick the Wilson as the wedge they’d want to try first. But our results suggest you should give them another look. You can’t fail to spot how wide and aggressive the grooves look and these along with the laser etched micro grooves, milled face and high spin KBS shaft meant the PMP punched well above is weight in terms of spin. We tested the 52deg and 58deg heads with the Traditional sole grind which we felt sat really nicely with the leading edge just off the deck, offering really good shot versatility. A lovely no fuss, no frills wedge. We particularly liked the two dots on the longer than standard grip. These mean you can alter your grip position consistently to cover off various yardage gaps which has to help your scoring potential inside 100 yards.